With more than a half-billion people expected to travel for conferences and events in 2015 and nearly two billion smart devices currently in use per eMarketer, Marriott International is on a mission to connect with travelers throughout their journey. 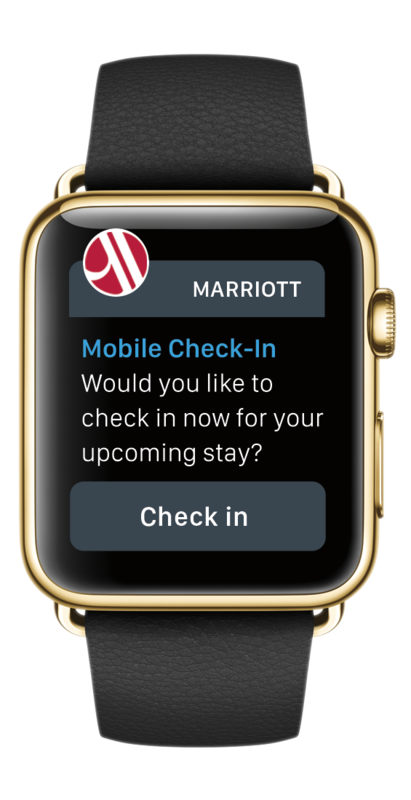 Members of the Marriott Rewards program who have purchased the Apple Watch will now be able to access Marriott’s mobile app for check-in and checkout, automatic receipt of room ready alerts, booking and review of reservations and detailed directions at the company’s 19 brands and more than 4,100 hotels. Marriott recently celebrated its one-millionth mobile check-in, and last month, announced it will start accepting Apple Pay this summer at select brands. Marriott’s investment in this proves that the future of mobile and digital technology is unlimited and plays an ever-important role as travel becomes more open and accessible across the globe for both business and travel.